In this time of deep political divisions, there should be nothing controversial about the notion that working people who do their jobs should be paid for their work. Unfortunately in Millionaire City, hundreds of working families are forced to go without their hard-earned wages due to unscrupulous employers, ineffective workplace law enforcement, and lack of protections on the job. We believe that all Houstonians should be able to make a living with dignity and respect. That’s why this year, we are celebrating The Value of Our Work. We will be visiting unscrupulous employers and denouncing labor abuses in our city and we will also learn how we can make Houston a just and prosperous place to work! □ Visiting unscrupulous employers around Houston who have stolen workers’ wages and demanding payment. □ Lunch & Discussion about wage theft in Houston and what we can do to stop it. 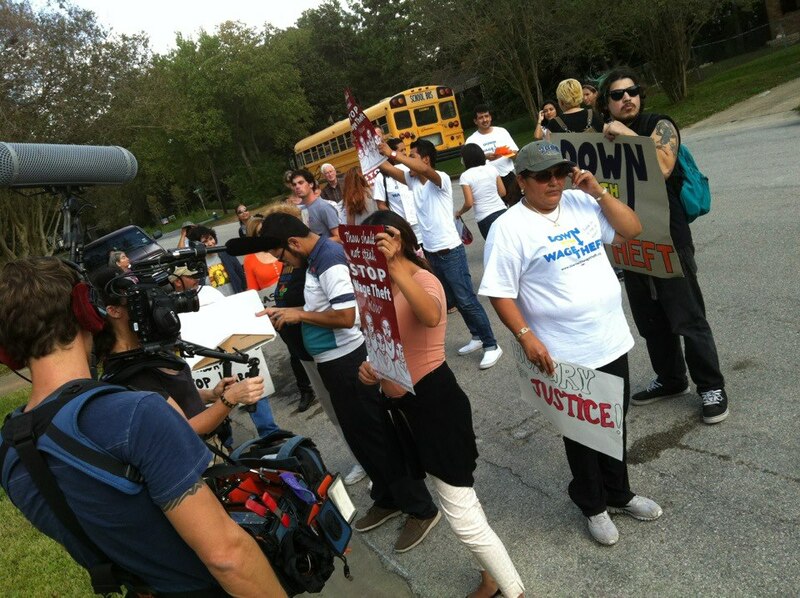 □ Rally in front of Houston City Council showcasing affected workers stories and a call to action for the community. Lunch and transportation will be provided! To register for the Justice Bus, click here. Check out a list of Frequently Asked Questions for the Justice Bus. 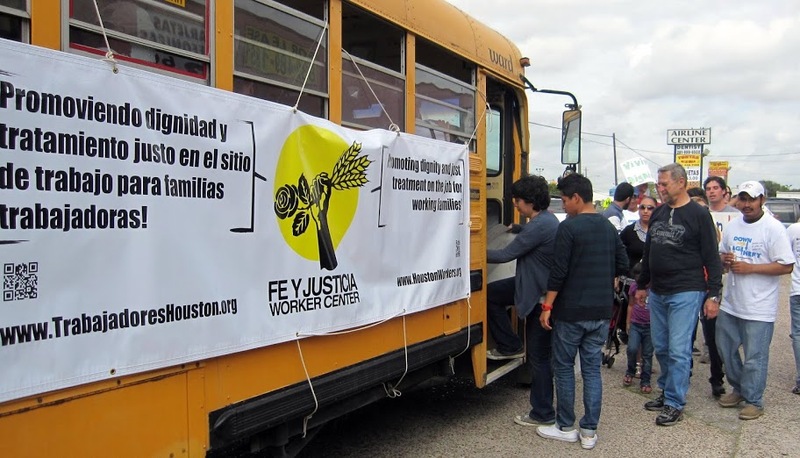 If you have question or if you’d like to learn more, contact the Fe y Justicia Worker Center at 713-862-8222 or fjwc@houstonworkers.org .